I have Greek yogurt for breakfast every morning and always buy plain yogurt and make my own flavor combinations. I never buy flavored yogurt as it has such a high sugar content. 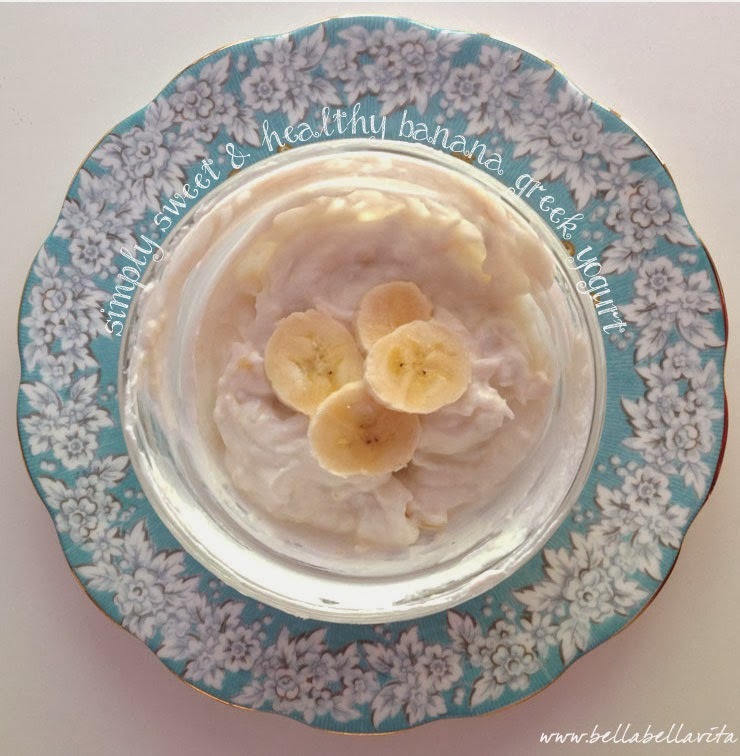 Lately I've been loving this banana yogurt ... it tastes like banana ice cream and is positively addicting! It's so simple and easy to whip together, I have to remind myself that it's not dessert! Whip all ingredients together in a small bowl with a wire whisk or fork. Blend well and enjoy! Also, don't miss my other recipe for Cinnamon Blueberry Balsamic Greek Yogurt. P.S. I have this yogurt along with a toasted english muffin with ricotta, honey and cinnamon. It's a divine combination!